At the mouth of the Zeballos River, this tiny village on northwest Vancouver Island is the spot for jumping into the rugged wilderness of the northwest coast. Forty-two miles of gravel road take you from Hwy. 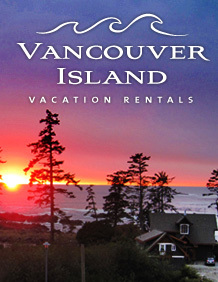 19 across Vancouver Island to Zeballos and the wild and rugged west coast of Vancouver Island. Located at the head of Zeballos Inlet, the town offers great opportunity for kayakers, canoers, hikers, fishermen and SCUBA divers. 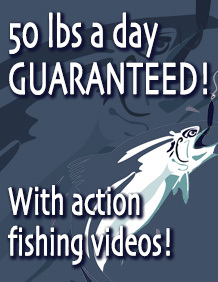 You can arrange fishing charters to go after salmon right in the inlet. If you’re after trout or steelhead, check out the Zeballos River. In the fall the river is packed with salmon returning to spawn. A nature trail right in town wanders along the river. If you yearn to view the ferocious black bear in a wilderness river setting, gaze at eagles screaming overhead for scraps of the salmon bounty, observe dense flocks of humming birds darting from flower to flower thoughout a rustic village, then a trip to Zeballos will fulfill the desires of the most avid nature lover. On northwest Vancouver Island, on a wilderness route that weaves through the thick, verdant forests, lies the historically fascinating village of Zeballos. This former gold rush community is tucked at the head of a long narrow inlet whose tidal waters pour out into the Pacific Ocean. On the three-hour journey from Campbell River, you pass through vast hillsides of reforested land, while the views of sparkling Nimpkish River with the mountains of Strathcona Park as a backdrop, will having you reaching for your camera at every turn. In the later summer, when the fish return to the river to spawn, black bears prowl the estuary, feasting on salmon, while eagles circle overhead, ready to swoop down for the scraps. The bears can be easily and safely observed from the wide comfortable deck of Mason’s Motor Lodge or from the old wood bridge that spans the river. Mason’s is a charmingly rustic establishment whose staff present evening orientation to familiarize guests about the area’s rich mining history as well as its native Indian heritage. A guide-led walking tour of this quaint village takes you by the many false-front buildings, a legacy of the once bustling mining town. A van tour includes a visit to the old cemetery which locals claim has a resident ghost, a stop at the famous New Privateer Gold Mine and a look at the former working site of the Zeballos Iron Mine. Crossing the river allows for magnificent views of Mount Zeballos and the snow-encrusted Rugged Mountain. If the tide is right, there is a great photo opportunity to capture the vivid purple and orange starfish that abound in the estuary. Look up, and you will often see eagles perched in favourite trees. Throughout the late spring and summer months the chances are good that huge black bears will amble across the road! Ducks, swans and a host of other wildlife frequent the river at various times of the year, so there is always a reason to have your camera ready. Further exploration includes a five-hour marine tour down Zeballos Inlet to the very edge of the Pacific Ocean. Rocks covered with dozing sea lions and sheltered bays where endearing sea otters pop up to observe your passage, are part of the rich marine life on Vancouver Island’s west coast. The beauty of the area and its magnificent isolation will evoke within you the feelings of the early explorers who first came upon this scene. The above was written by Morgan Ostler. BY ROAD: From Nanaimo, take the Inland Island Highway north to where it connects with the Island Highway at Mud Bay. Continue north past Sayward to the turnoff at the little village of Woss. The gravel road to Zeballos starts there. The 350-kilometer trip should take about five hours. From Port Hardy, head south on the Island Highway to the turnoff at Woss, where the gravel road to Zeballos begins. The 126-kilometer trip takes about two hours. BY AIR: Scheduled airline connections are out of Vancouver to Port Hardy. Floatplane service is also available.